Beginning in 1999, Journey has served as a pre-orientation program designed to assimilate incoming freshmen resident students to college while introducing the students to the abundant outdoor recreational opportunities in the Roanoke Valley and surrounding areas. Participants will meet other freshmen to begin making new friends right away while also meeting upperclass mentors who work in Outdoor Adventures. Please write the student's name in the subject line of the check. Alternatively, if you would like to pay by credit card, please call the Campus Recreation office at (540) 375-5219. The first 20 completed and paid registrations will be accepted. Any checks received after the program is full will be returned or voided/shredded upon your request. Applications are due by July 15th. No refunds will be given after that date except for unusual circumstances. 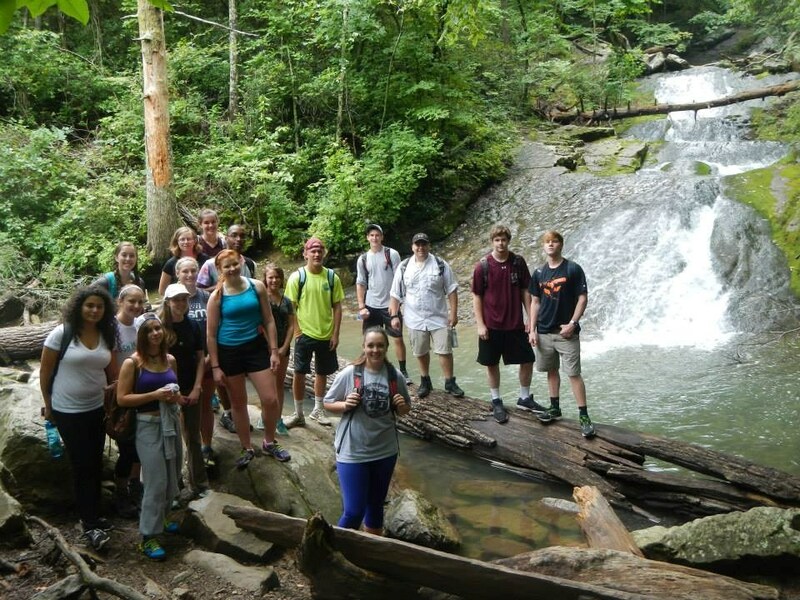 Excursions are led by Outdoor Adventures student guides who are certified in CPR and Wilderness First Aid. The ropes course at Wilderness Adventure and whitewater rafting at ACE Adventure are led by professional guides of each respective outfitter. If you have any questions or concerns, please contact Outdoor Adventures at (540) 375-2579 or oa@roanoke.edu.